Local College and Career leaders are excited about the significant increase in young men and women hooking-up after a recent glow-bowling event. 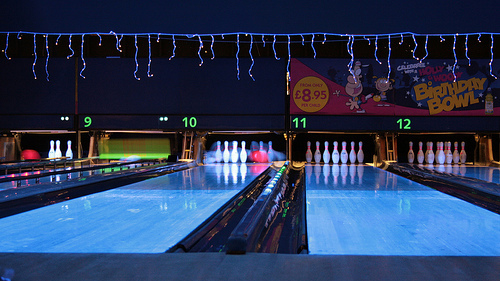 The dim lights of the bowling alley are particularly conducive in sparking romantic flames, which is why Hiebert likes to have events like this as often as possible. Hiebert says that fostering spiritual growth would be an added bonus, but feels the primary focus of College and Career groups should be to get young people doing who knows what in the back of their parent’s car after each event.